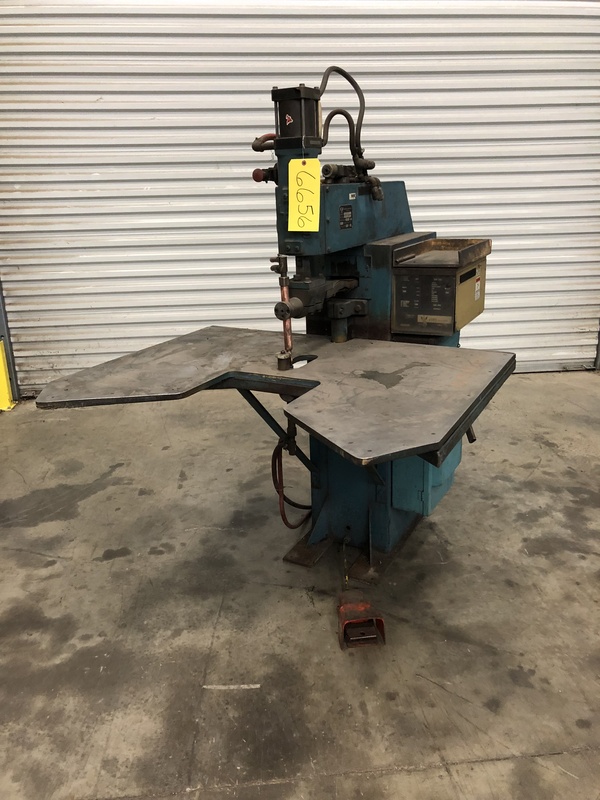 Table shown in photo has been removed. 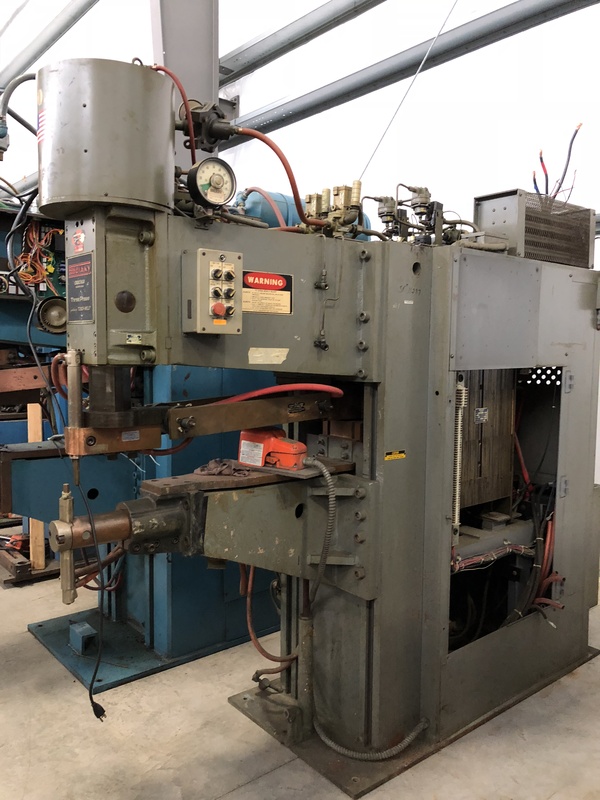 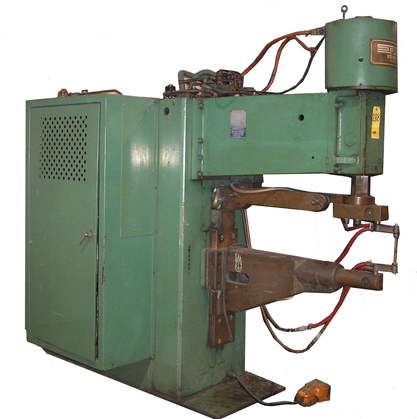 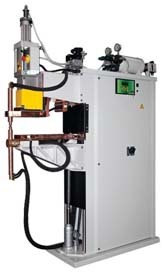 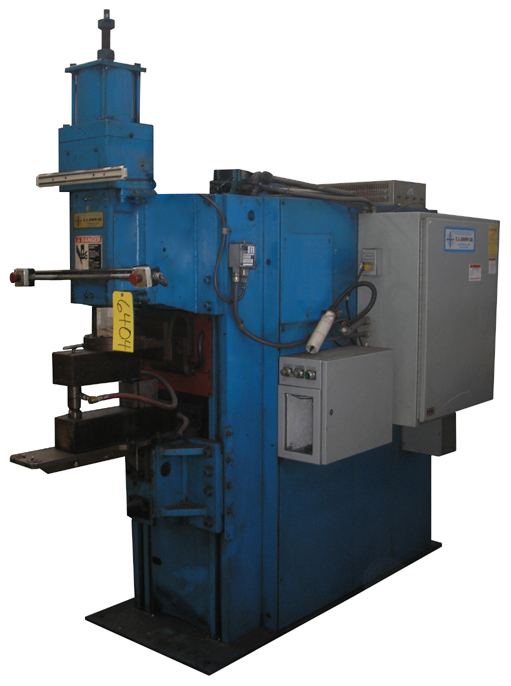 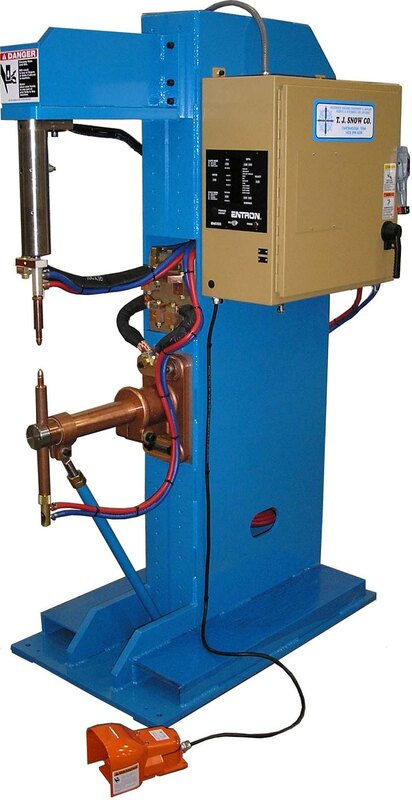 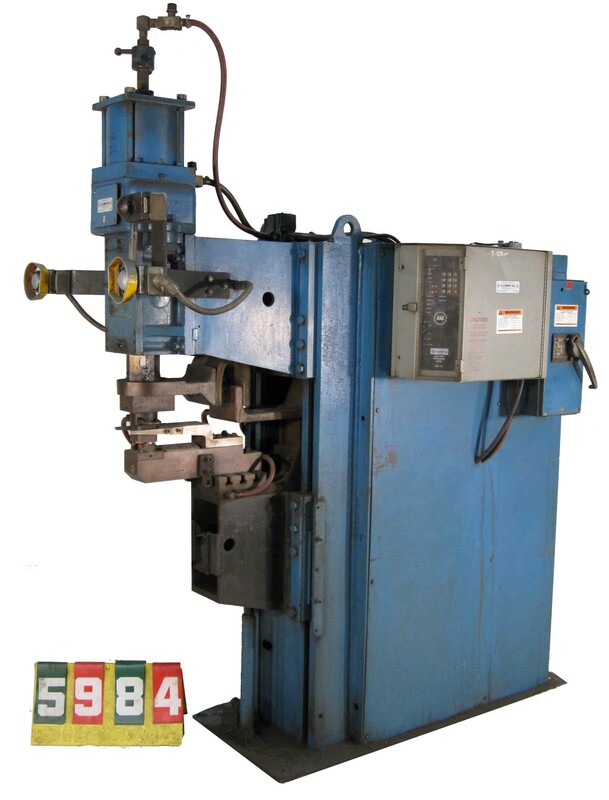 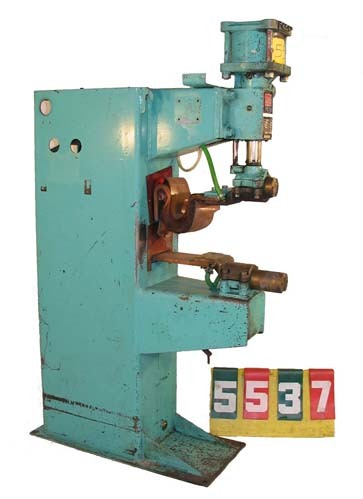 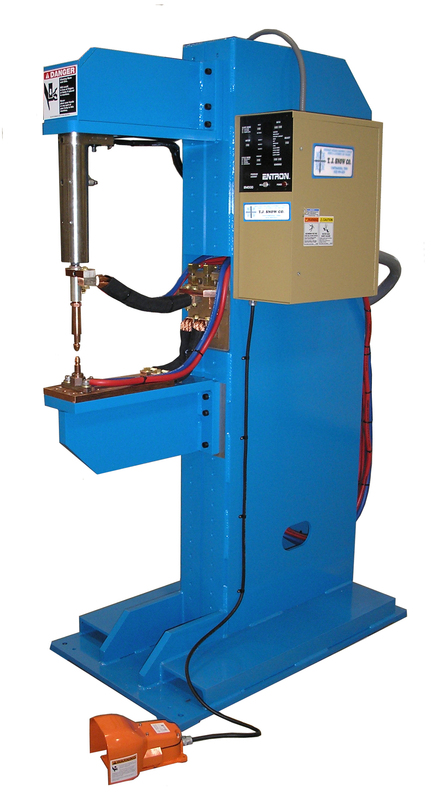 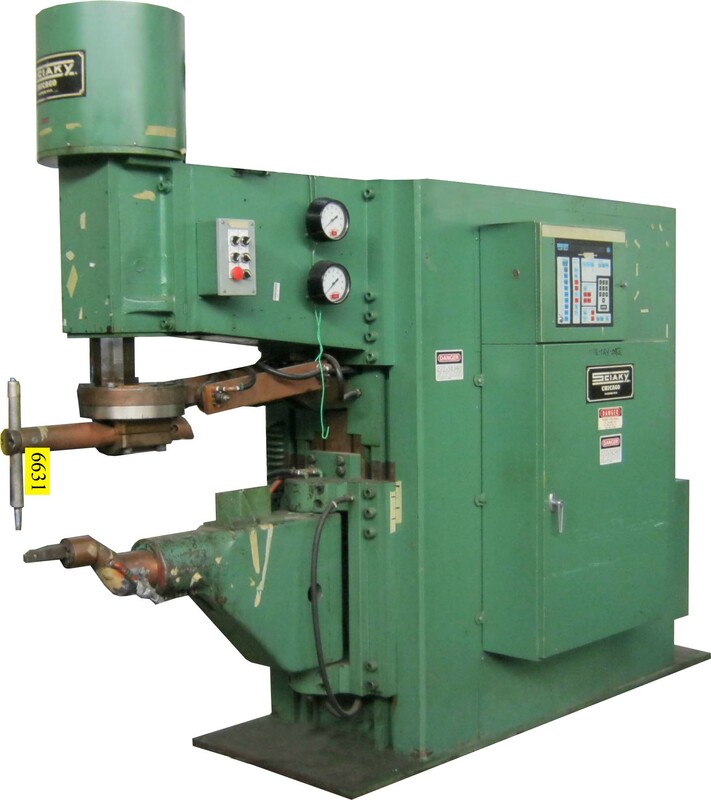 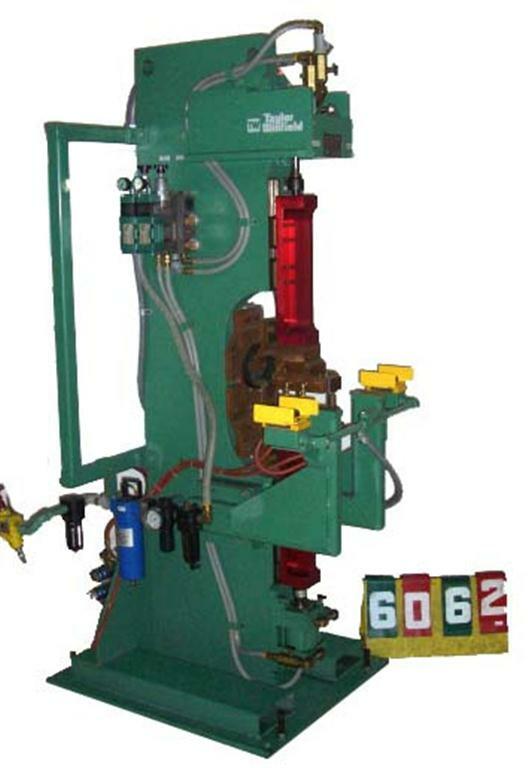 This machine has special lower tooling to weld a ring projection, such as fusite to a refrigeration compressor. 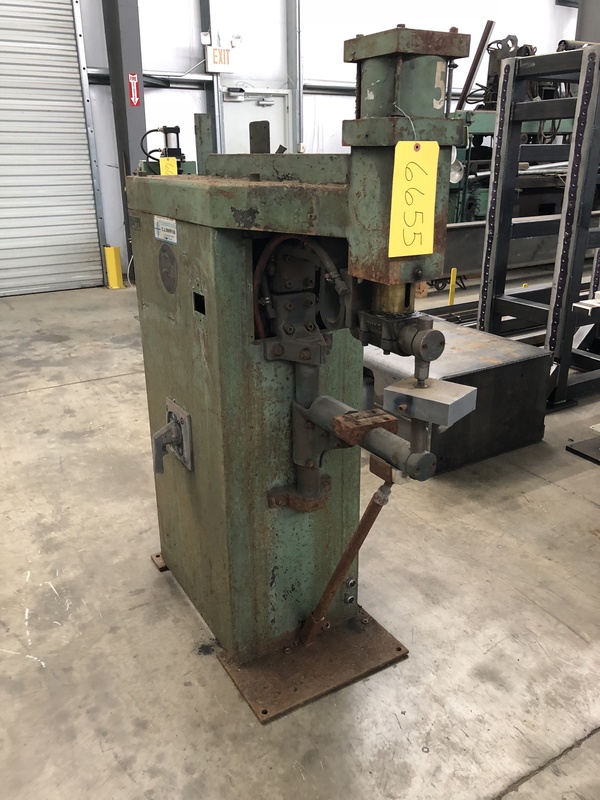 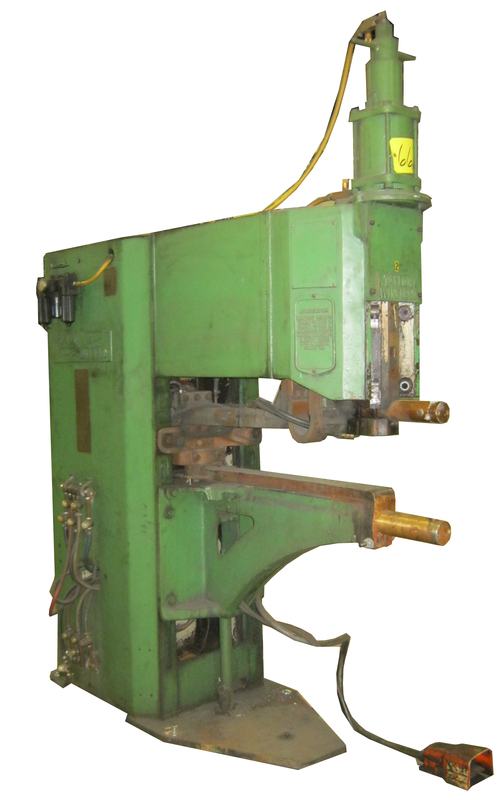 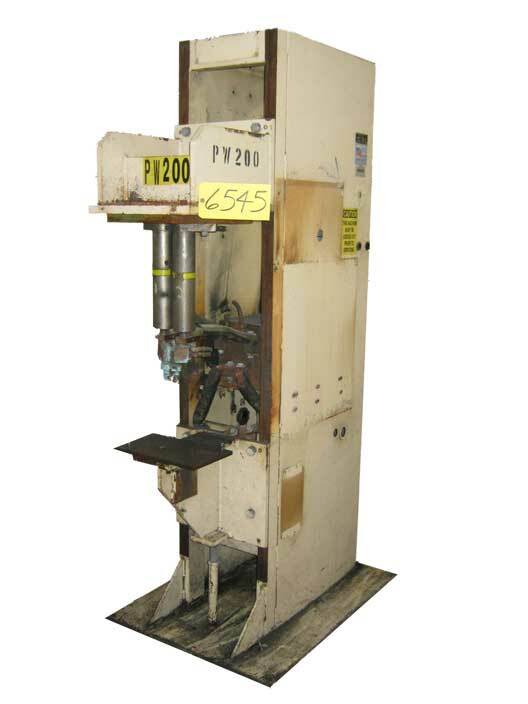 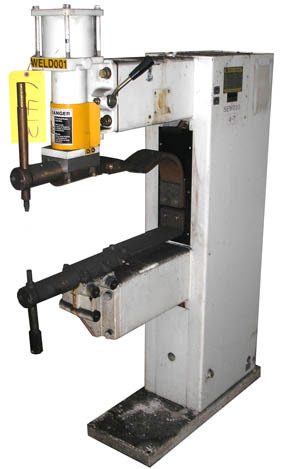 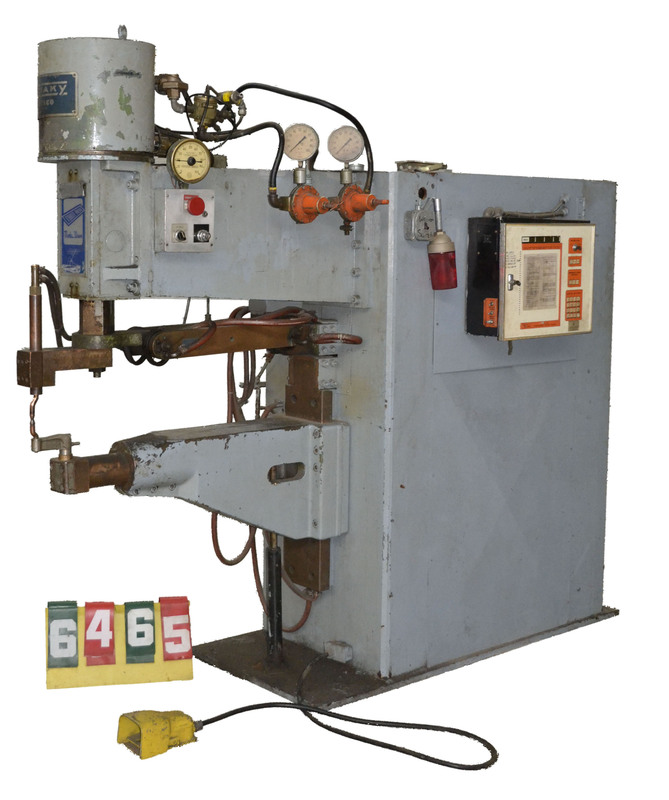 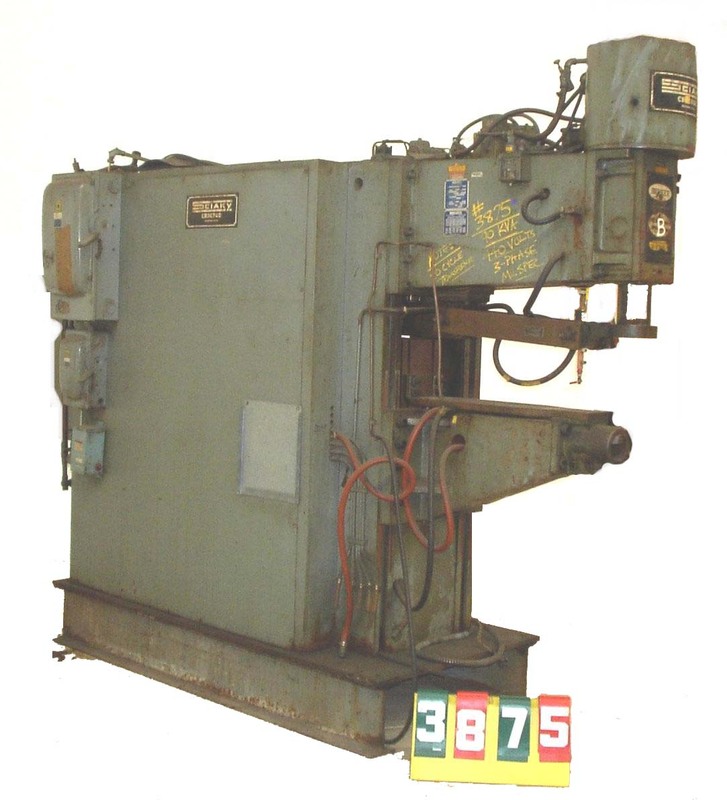 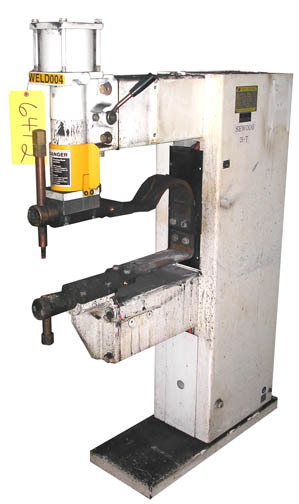 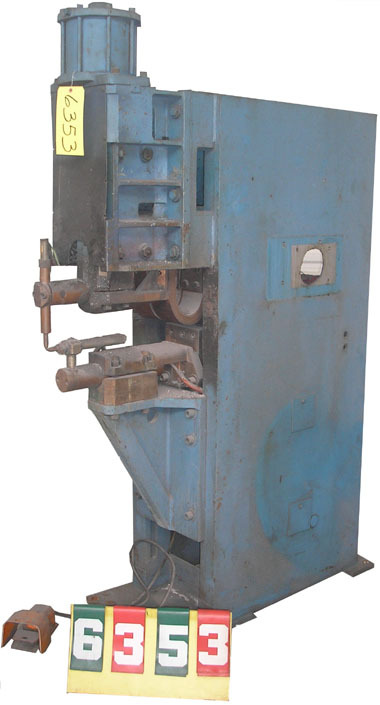 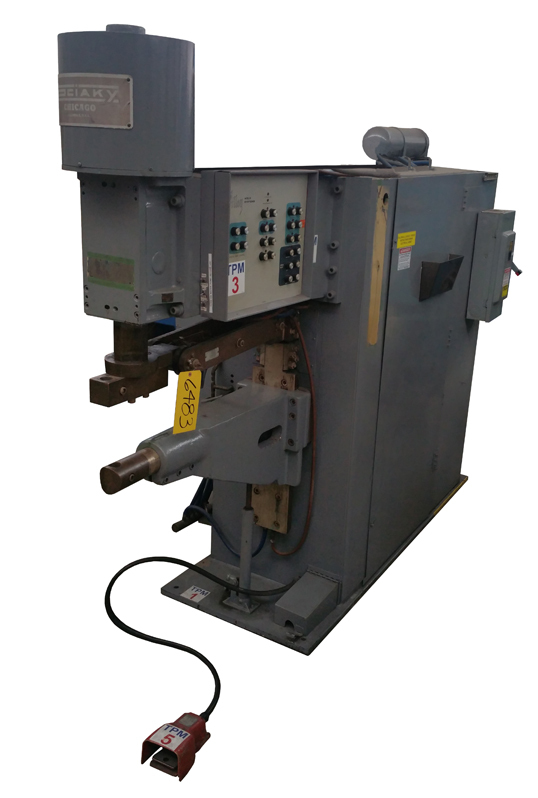 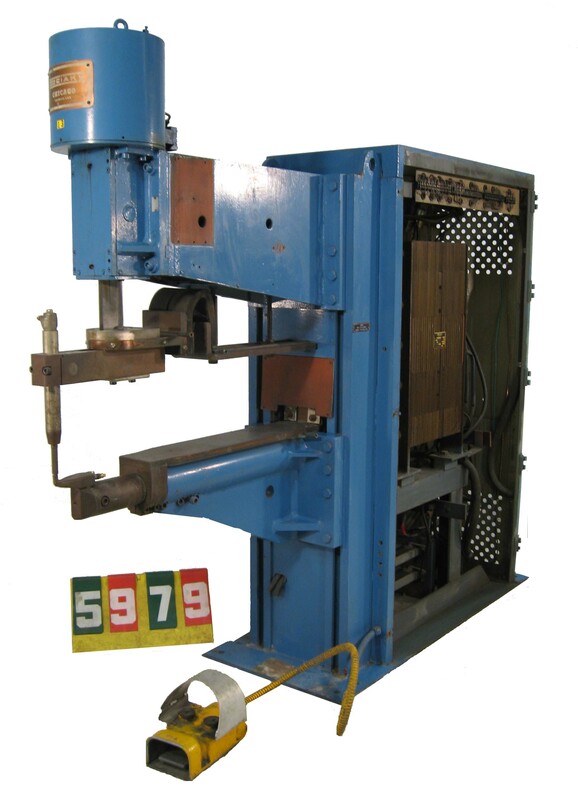 This frame can accommodate additional weld guns and special tooling fixtures. 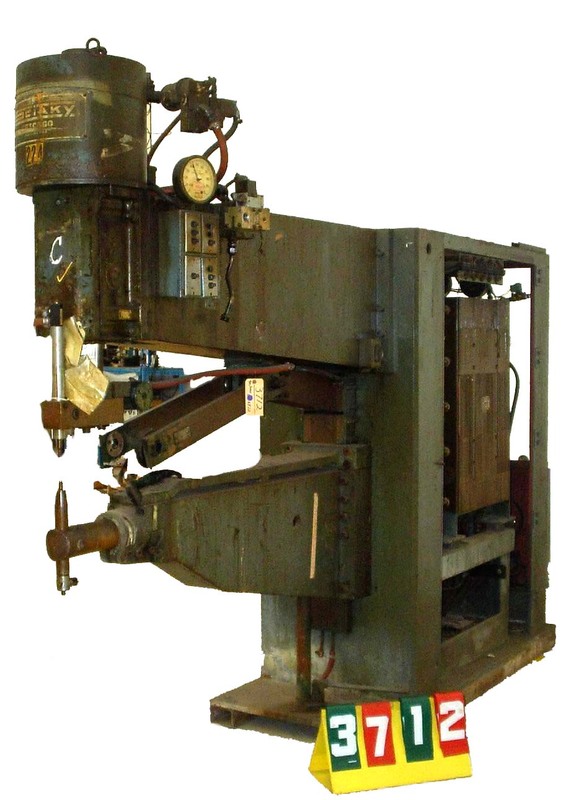 This is an ideal frame to use for an MFDC conversion! 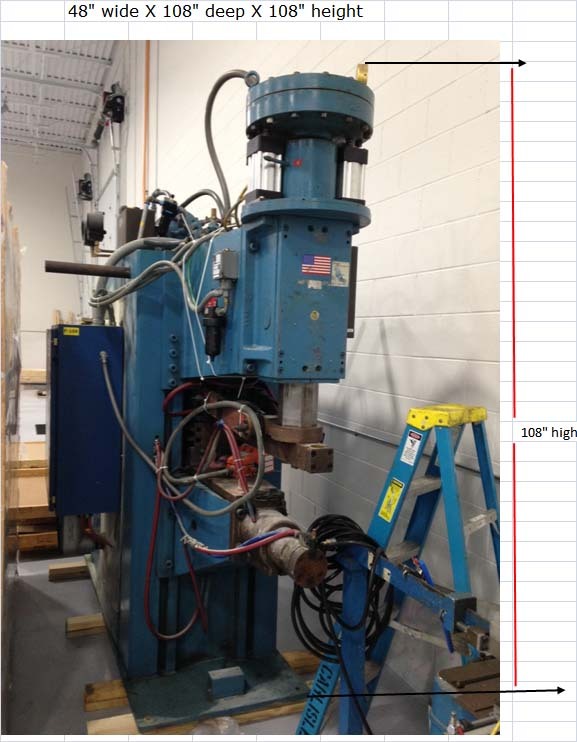 NOTE: The Transformer shown in the photos has already been removed and the machine is ready to have an MFDC transformer installed. 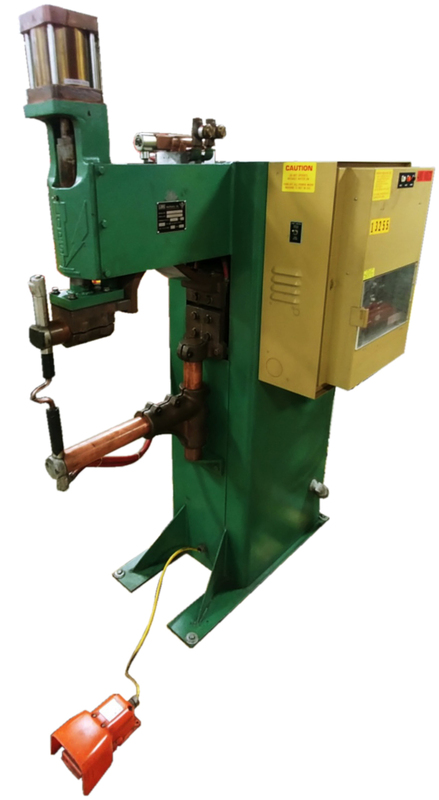 Currently no Transformer is installed.